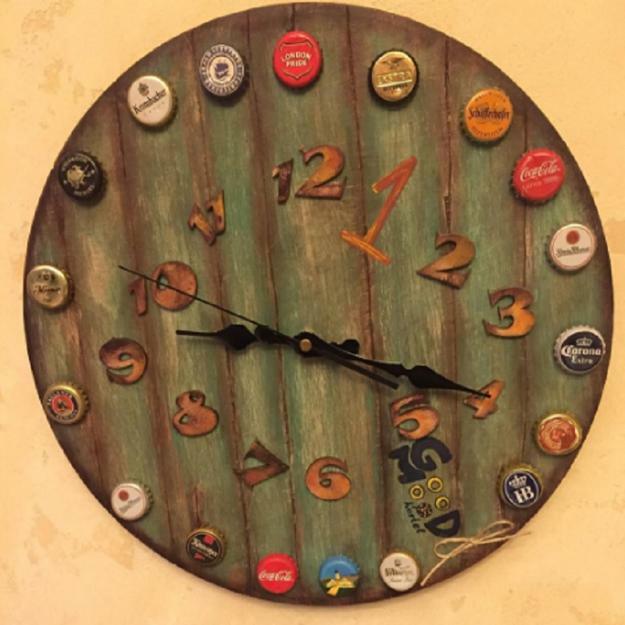 Modern home decorating ideas reuse and recycle various materials creating beautiful items and original accents which reinterpret art and design. 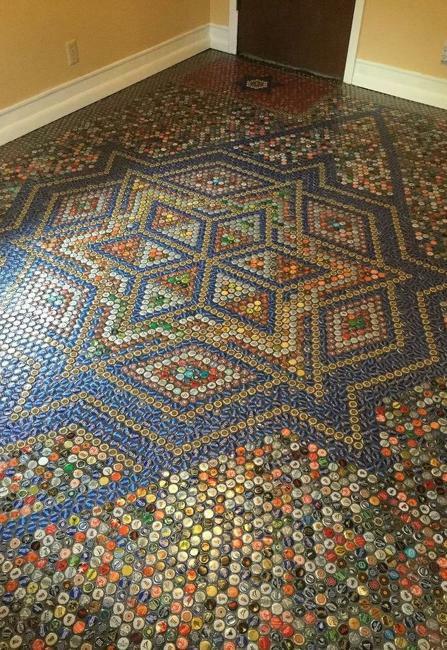 Metal bottle caps are one of the unconventional materials for home decorating that stretch the boundaries of interior design and give a unique touch to living spaces. 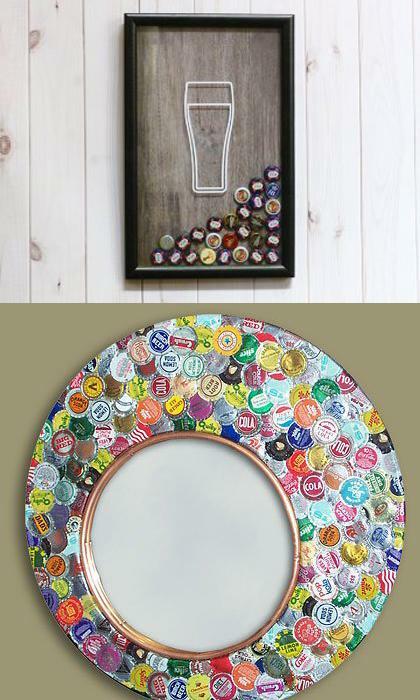 Furniture, walls and floor decoration with metal caps look surprising, offering inspiring ideas for recycling. 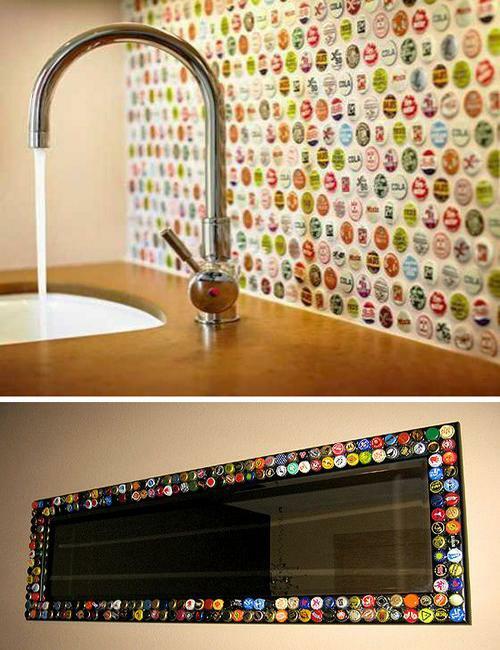 The unconventional style of home decorating relates to Avant-Garde design ideas and sets the innovative and spectacular trend. 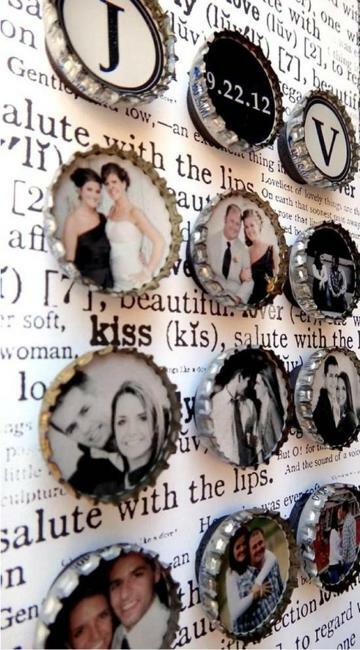 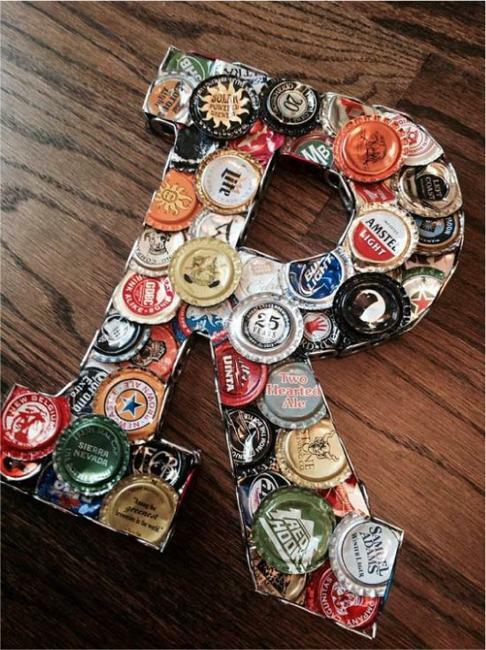 Metal bottle caps are the unique, inexpensive material for crafts, art, and home decorating. 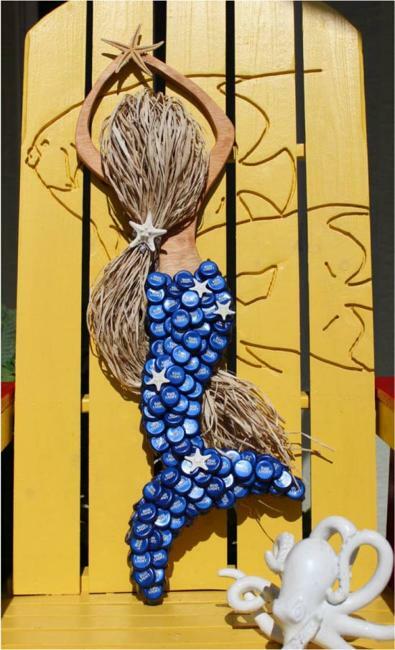 It allows you to experiment with original design ideas and add a creative touch to your interiors or outdoor living spaces without spending lots of money. 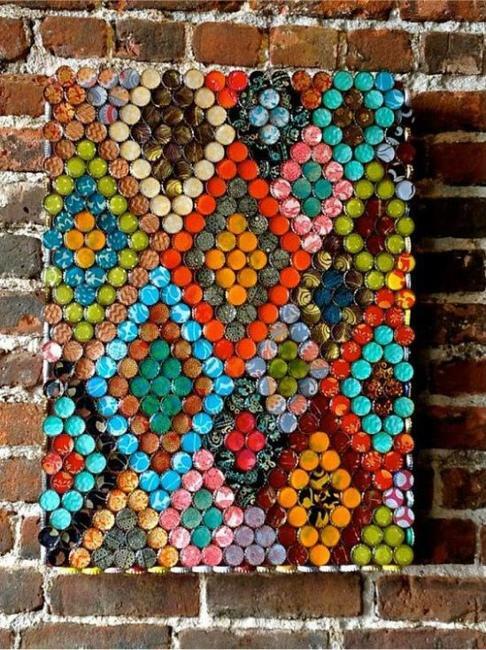 Metal caps are perfect for inventing unique decoration patterns, geometric and colorful accents, letters, and bright details. 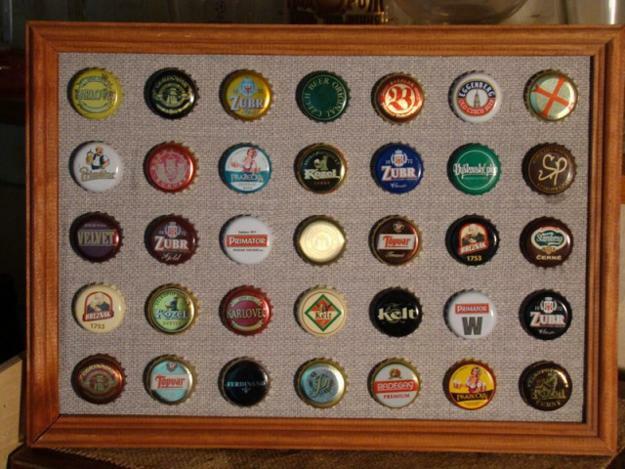 Metal bottle caps are the fantastic material providing inspirations for new designs. 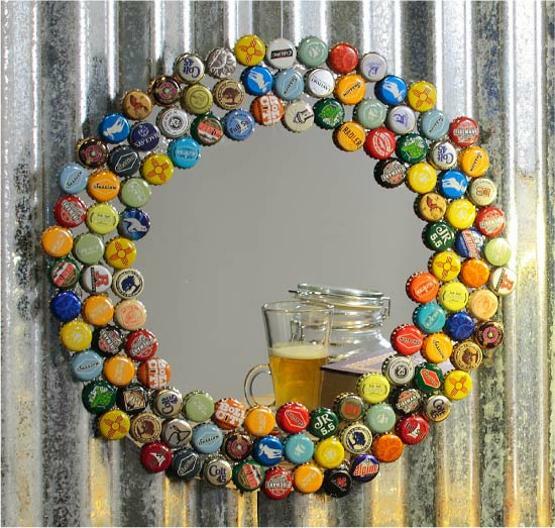 Metal artworks and wall accents are one of the beautiful trends in decorating which makes the entire home stand out of the ordinary. 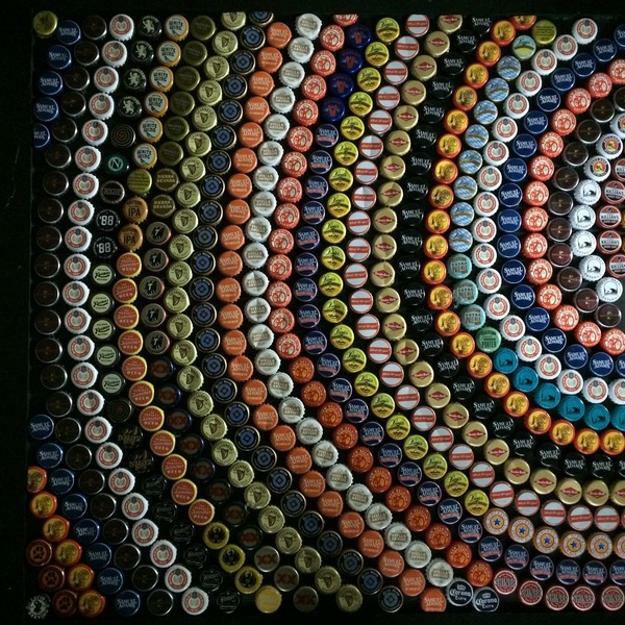 The originality and uniqueness of metal cap designs delight and surprise. 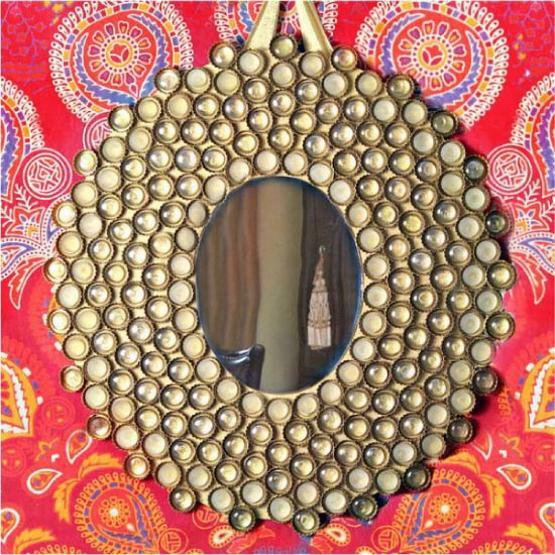 The material gives a chance to blend new designs and traditional home decorating ideas. 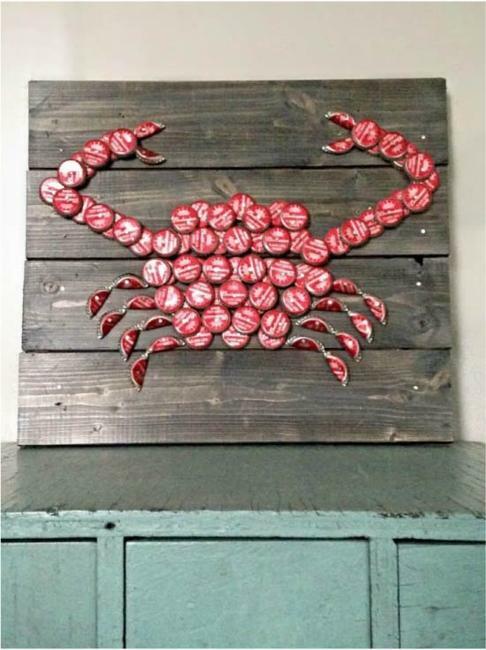 Metal caps art, wall decorations, and floor designs are inspiring and unconventional, challenging and eclectic. 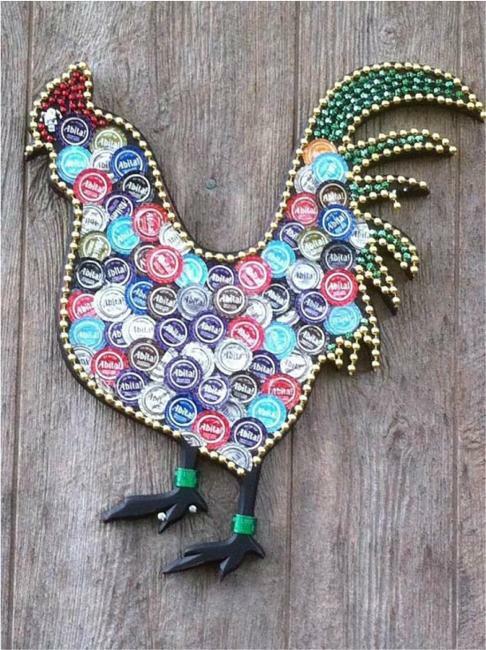 Crafts and home decorations made with metal caps produce a stunning visual impact. 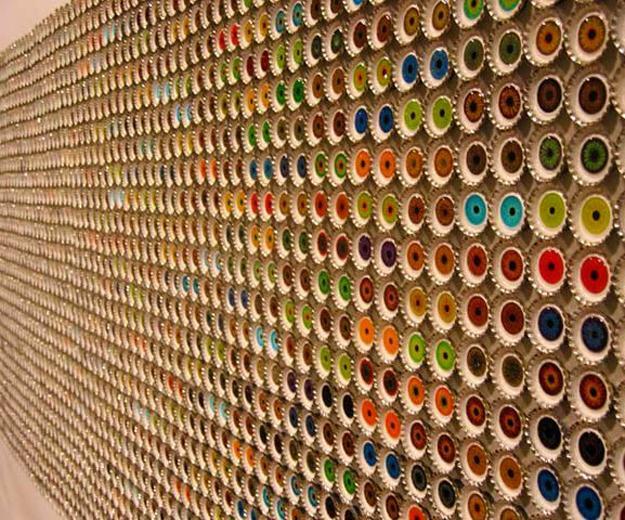 Creative art knows no boundaries, and the latest trends in decorating homes merge novel ideas into the modern interior design. 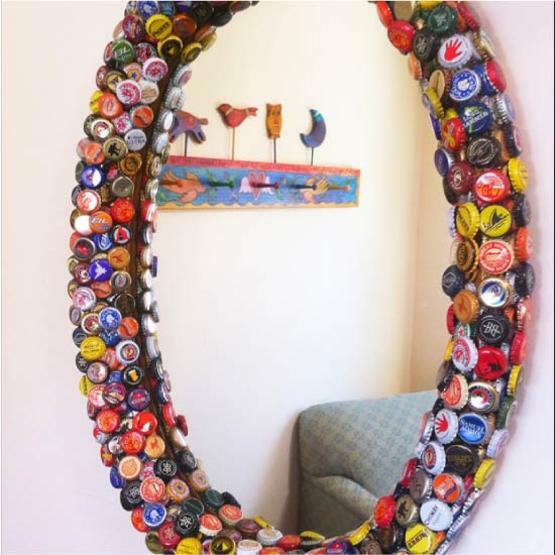 The best way to add character to your home interiors is to assign new uses to recycle and design unusual items with recycled materials. 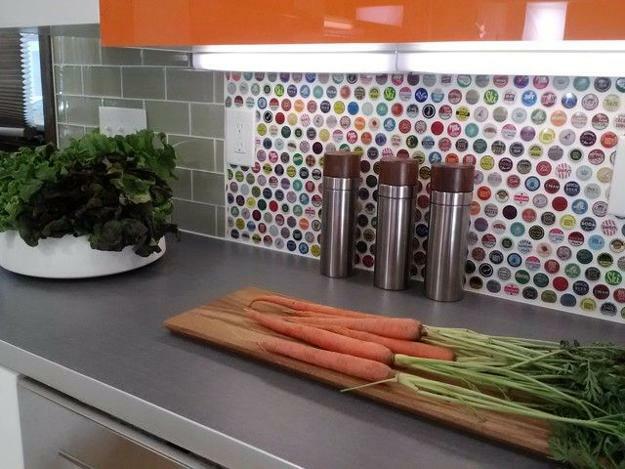 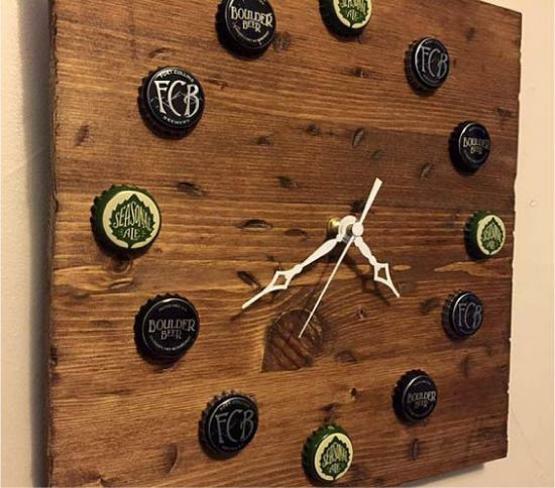 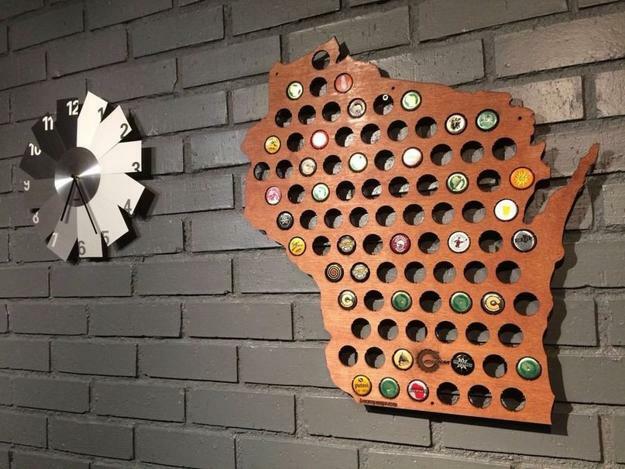 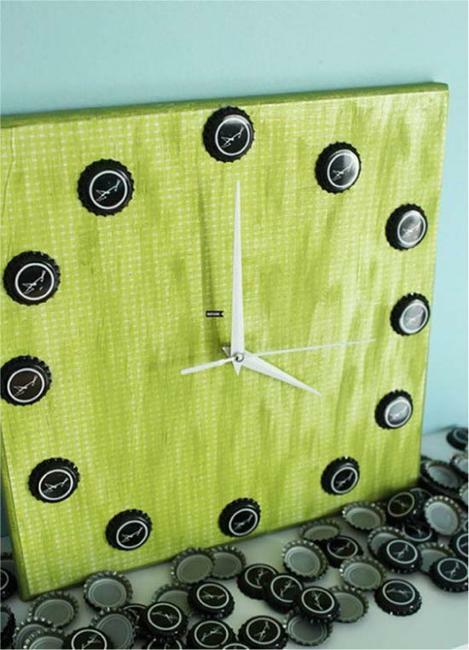 Wall and floor decoration with metal bottle caps is the perfect way to personalize living spaces for all who appreciate Green living ideas. 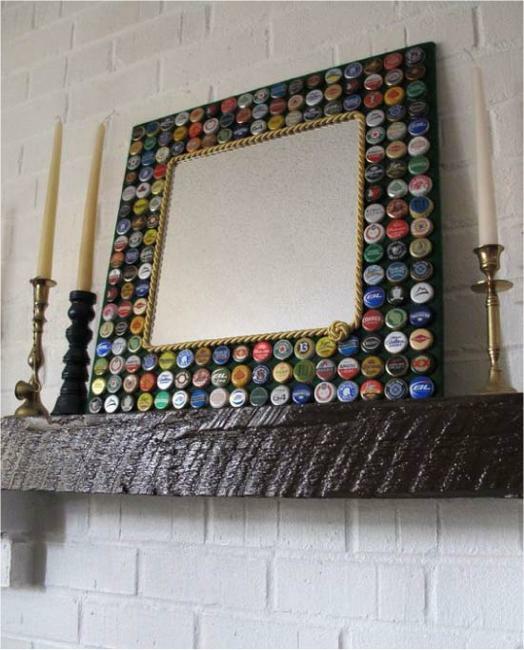 Go Green while recycling clutter and waste materials, and decorate your home with caps accents. 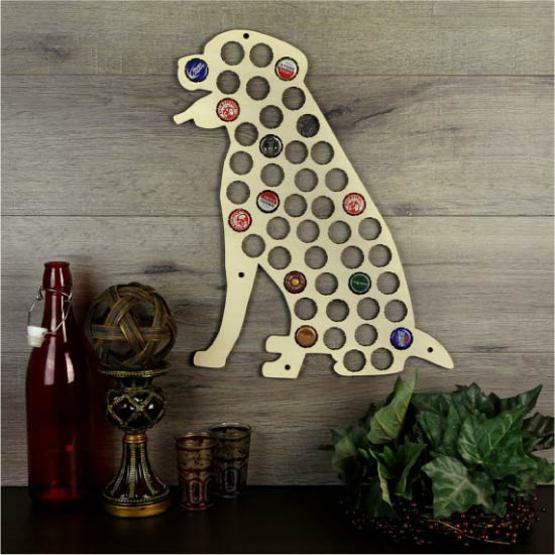 Home furnishings, walls and floor decoration adorned with colorful metal caps can be an excellent source of inspiration for your kids, friends, and guests.